WE ARE MOVING TO NEW PREMISES. we are moving to new premises at the old NatWest Bank on the corner of Greevegate and Northgate. However, we have a lot of work to do to turn it from a bank into a Heritage Centre. towards the end of April or beginning of May. We are going to try to have it ready for Easter which this year is thankfully quite late. 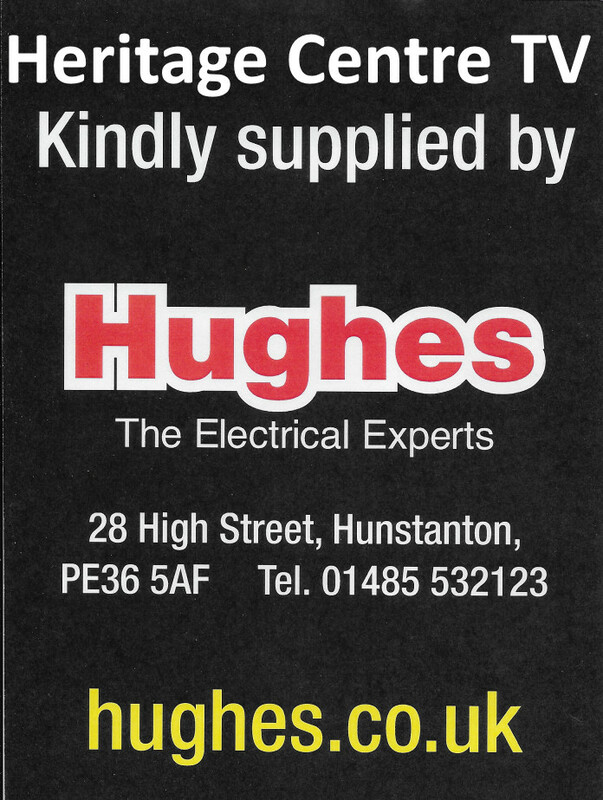 This is our old leaflet that has been widely distributed both locally and further afield. 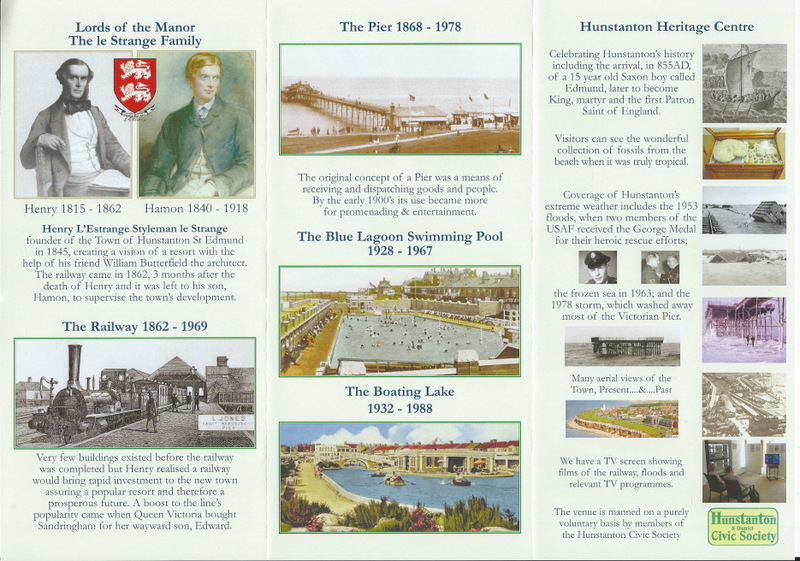 The Heritage Centre opened its doors to the public on 3rd August 2013 at 15 The Green, Hunstanton. in the Radio 4 programme "The Archers"). The Centre has attracted close on 10,000 people through it's doors each year since then (40,000 up to August 2017. 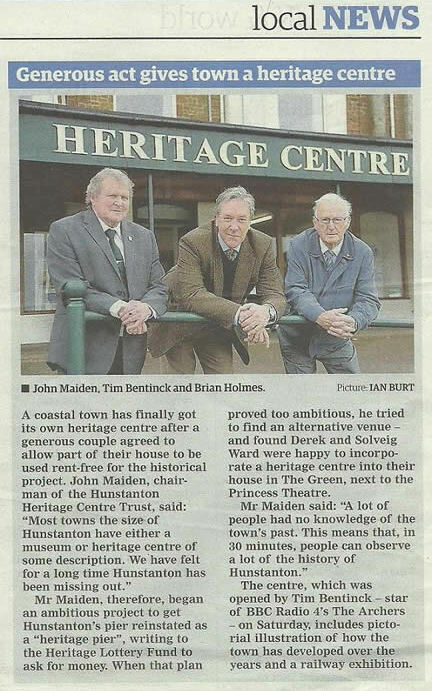 As you can read in the article below (courtesy of the Lynn News), this whole project was made possible by the generosity of the owners of the premises, Derek and Solveig Ward, who very kindly have allowed the Society to use the rooms under their home as the base for the Hunstanton Heritage Centre. John Maiden with help from many others. The Centre is opened normally from Half Term mid February but this year, as stated above, won't be opened until late April or early May. Admission is FREE but donations are always very welcome and, in fact, needed to allow us to pay our overheads and to save up for our own Centre at some stage in the future. The Easter Weekend 2015 brought a new highlight to the Centre. Well ... actually a very old one really! Millions of years old, in fact. 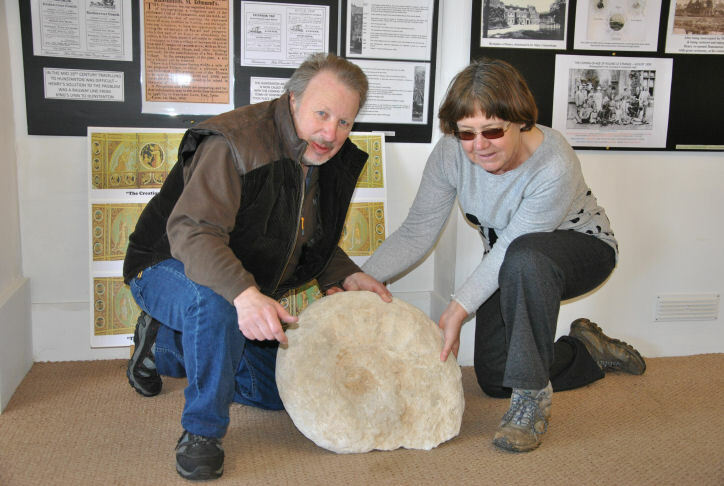 Andrew and Catherine Nicholson of Bexley found this Ammonite in September 2014 under Hunstanton Cliffs. "Just to recap, we found the Ammonite at the base of Hunstanton cliffs at about the mid-way point. Cath was fossil hunting on the beach during a short stay at the flat in September �14. around it and exposed the biggest ammonite we had ever found. Eyes to the heavens I knew what this was going to mean as we could not just walk away and leave it. the distance up to the road. after we had returned home. in the spring when the Centre would be open again. Thank you very much - this will be enjoyed by all our visitors. 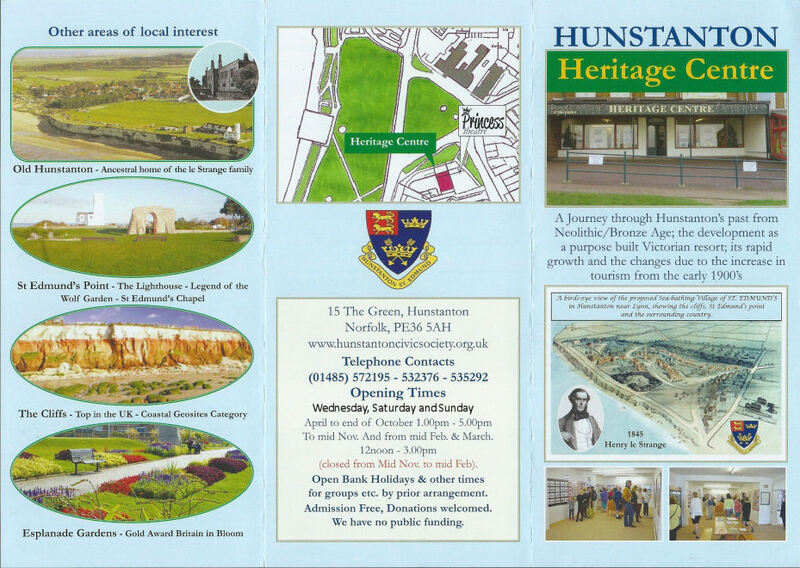 If you have not already visited the Heritage Centre, next door to the Princess Theatre, it is well worth a look and a wander around the very interesting displays of our Sunny Hunny in times gone �bye�. The Centre is open on Wednesdays, Saturdays and Sundays and Bank Holidays from 1-5pm during the Summer Months and is manned by a lovely band of volunteers doing a two hour stint in two�s (1-3 or 3-5pm) twice a month. We would love and need more volunteers. So if you have lived in Hunstanton or district for either a short or long time, we would be delighted to hear from you and have you join us for this very interesting and rewarding pastime. 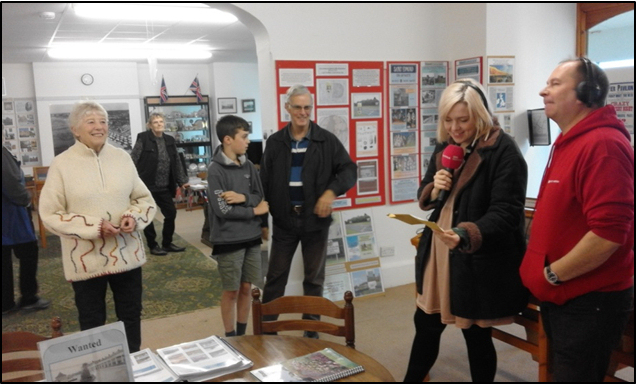 BBC Radio Norfolk visit our Heritage Centre, not once but twice! 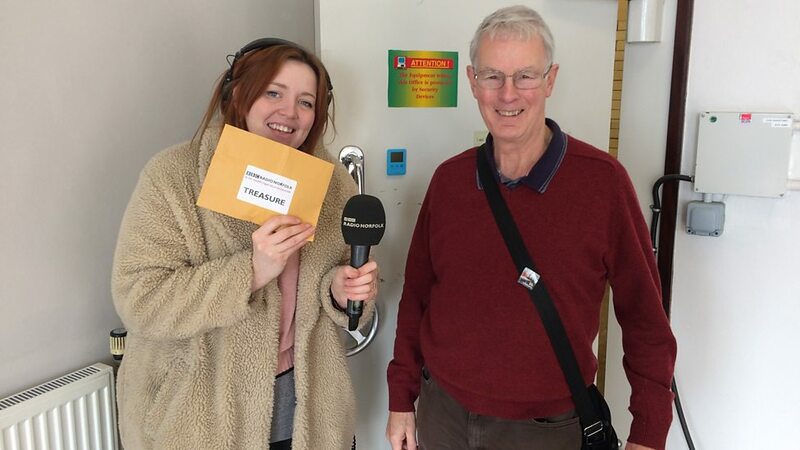 On Sunday, 30th October 2016, we had a visit by Sophie Little looking for a clue, and found it! Here are a few pics taken on the day. We had a sudden interest in the Centre that afternoon and hosted quite a number of visitors. Then again on Sunday, 17th February 2019, we had a return visit by Sophie, this time to our new premises at the old NatWest building on Northgate. This was despite the fact that we were not moving in until literally the next day from 15 The Green. This time we had two clues for her. 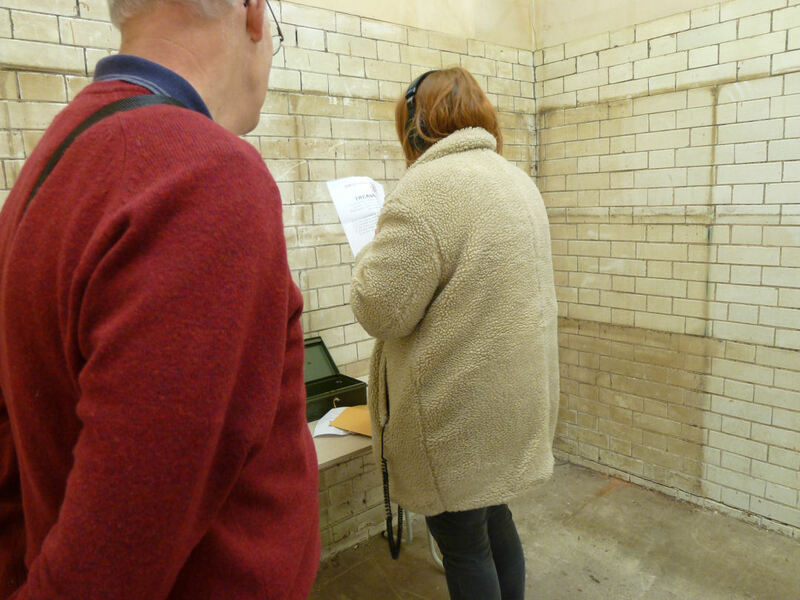 She found where the 2nd clue was - locked up in a cash box in the bank vault. Where was the key? - well that was the first clue which she found in the donations jar sitting on the floor of the main banking room. This allowed to get to the Treasure.